Amber Flora Thomas will read from her new collection of poetry, Red Channel in the Rupture (Red Hen Press, 2018). This event is free and open to the public. Also featured: Since Amber served as final judge for the North Carolina Literary Review's 2018 James Applewhite Poetry Prize competition, two of the finalists, Melinda Thomsen of Greenville and Jeanne Julian of New Bern, will read their finalist poems. Amber Flora Thomas is a recipient of the Dylan Thomas American Poet Prize, Richard Peterson Poetry Prize, and Ann Stanford Poetry Prize. Her other books are THE RABBITS COULD SING (2012) and EYE OF WATER (2005), selected by Harryette Mullen as the winner of the 2004 Cave Canem Poetry Prize. 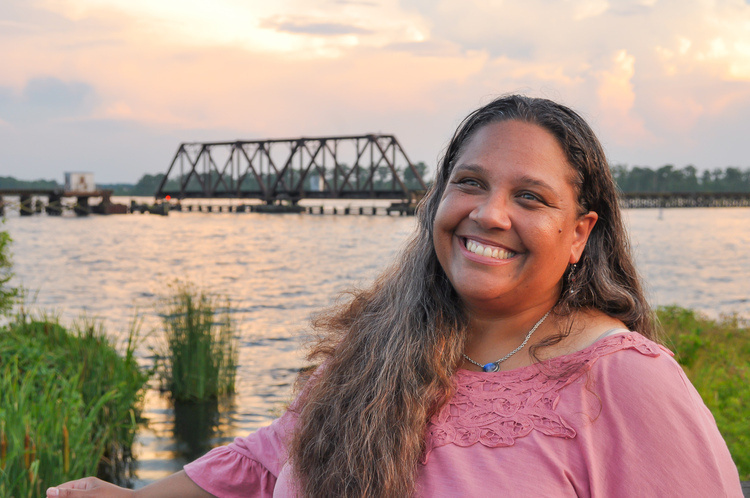 Her work has appeared in Tin House, Callaloo, Orion Magazine, Alaska Quarterly Review, Saranac Review, and Third Coast Magazine, as well as Angles of Ascent: A Norton Anthology of Contemporary African American Poetry, and numerous other journals and anthologies. She is a Cave Canem Fellow and faculty member and an Associate Professor of Creative Writing at ECU.